In a busy world like mine, there’s something about the repetition of hand work that is so enjoyable. It’s nice and quiet and slow. Taking a look back at some pieces is a good motivator. Here’s a review of some of my faves that I have on hand. 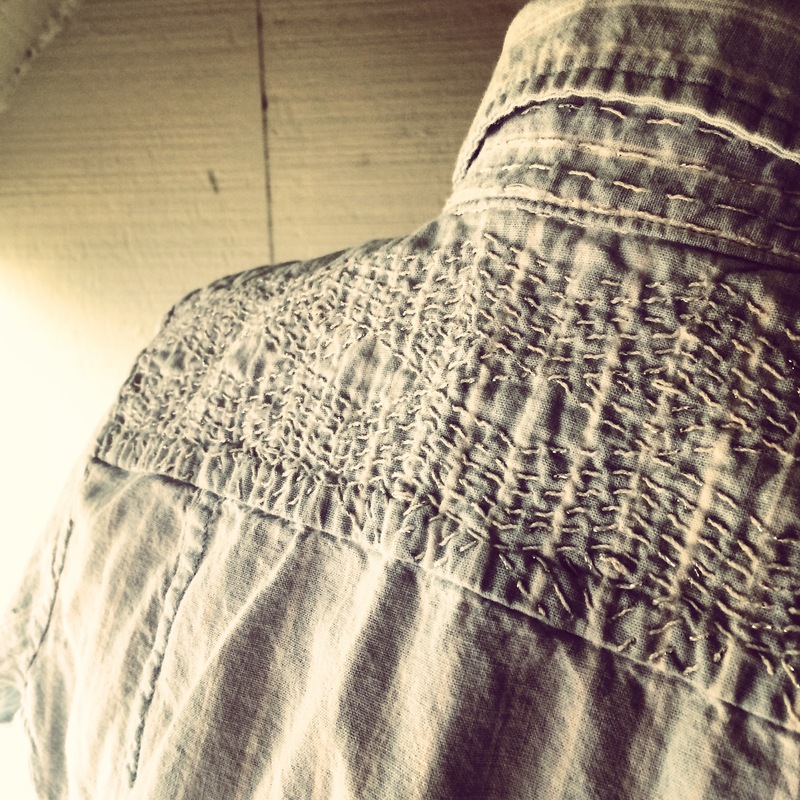 Cotton button-down with boro stitches on yoke and collar. Made in 2014. 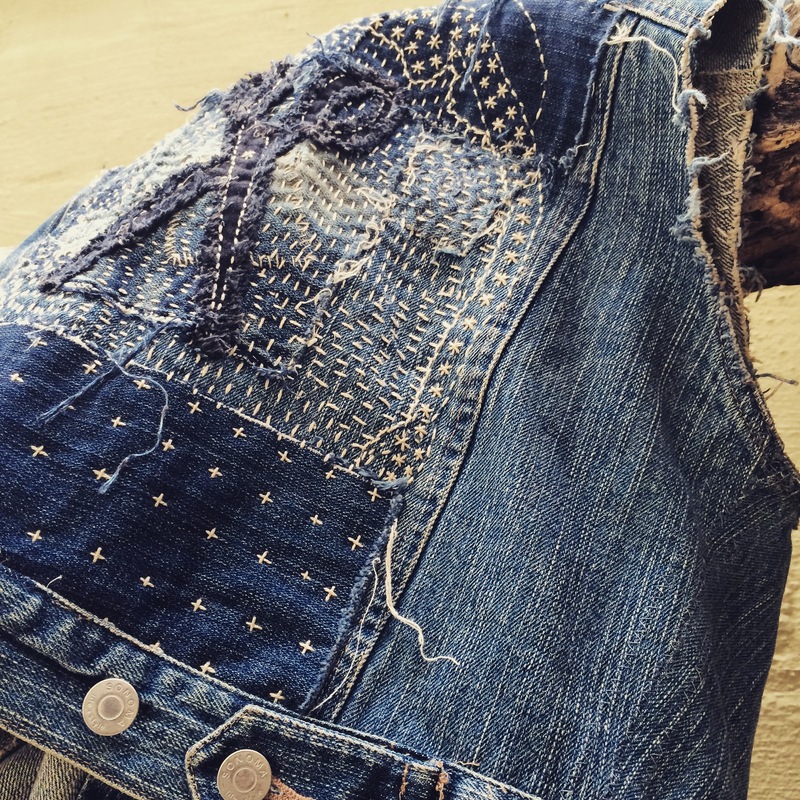 Denim vest with intense boro stitches. Made in 2012. 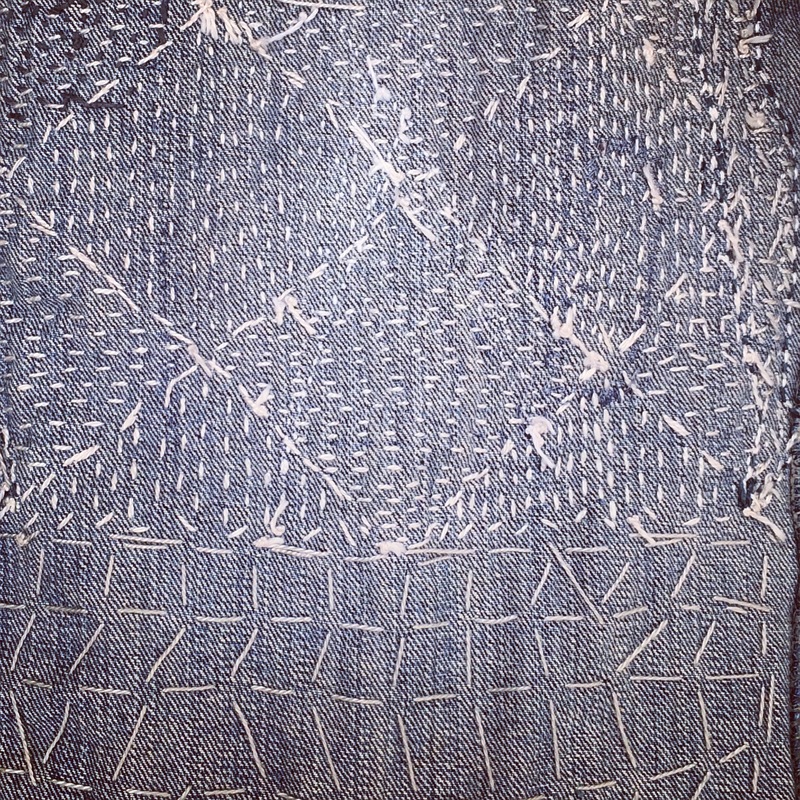 The inside of the denim vest. Finished 2012. 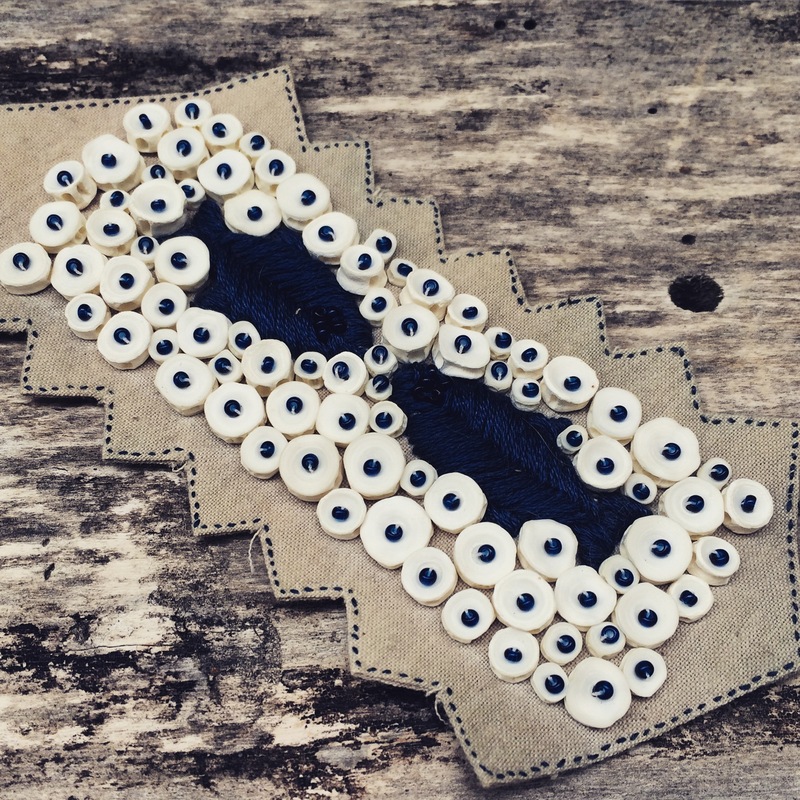 A small patch with fish vertebrae, glass beads and cotton thread. Made in 2012.